We live in an age where convenience and safety is given high priority. Tablets are a good example of all that. If we offer disinfectants in tablet form than the metering of the correct amount per 10 liters of water, for example, is much easier than a splash out of a bucket or a scoop powder from a bucket. Tableting is the compression of solid substances. This is done under pressure. Sometimes more than 20 or even 60 tons of pressure per cm2. Not every substance allows compress itself. Think of hard crystals, which will shatter under the influence of such forces. Tableting or compression of solid substances is a technology, an expertise. Veip Tableting has made this expertise its own in recent years. There is no uniform tableting technology. There are several types of machines: eccentric presses and round-runners. Each with their specific characteristics. The substance to compress is of great importance. The chemical and physiological properties determine, to a large extent, the ease of tableting. You can imagine compressing a coarse granular substance is much easier than, for example sugar crystals. The tablet in the end also needs to be rapidly dissolve in water. This is done by adding a so called ‘spring’ substance. Veip Tableting has different tableting machines. Mainly excenter presses, as they are more suitable for tableting of mixtures having a high concentration of active ingredients. However, Veip Tableting also have so called ’round-runners’, because they generally have a higher production capacity. It is possible to produce tablets in different sizes and shapes. We have installations for tablets of 5.5 mm to 70 mm. Also, the shape may vary from simple flat to concave, or from round to a heart, just to name a few. The secret of tableting is to add the proper substances which makes it possible to compress. But also, when we create the tablet, how it disintegrate in water. Also, the active substances often undergo extensive treatment, such as grinding, granulating, drying and more. Moreover, the substances in the tablet itself has to be stable, while chemicals in many cases, have the tendency to react with each other. Cleaning- and disinfection tablets contains an extremely high content of active ingredients. A tablet is a convenient product. But before a tablet is made and ready, there will be a lot of thinking and calculating to be done. Composing and choosing the right packaging is at Veip Tabletting a tailer-made process. If there eventually is a tablet produced, then the next stage in the operation is entered. 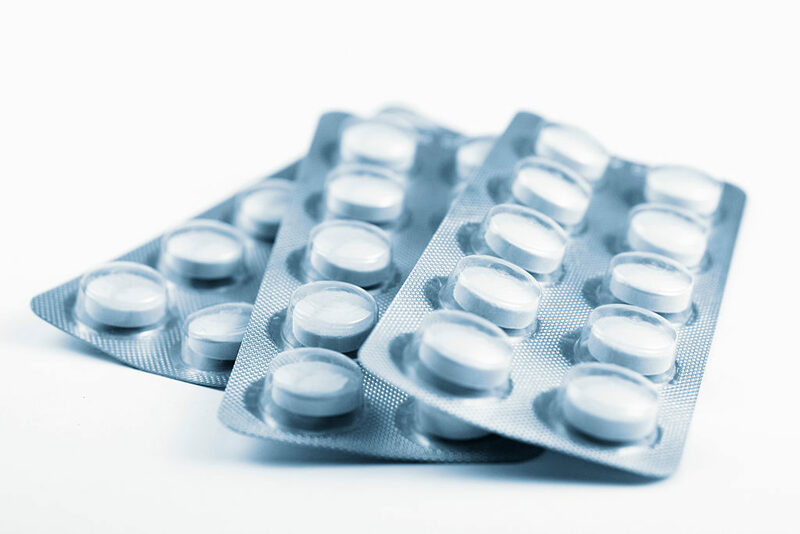 The tablets are tested in a variety of different packaging, and under various conditions for stability. In general, the requirement is that a tablet remains stable for 3 years and does not lose its efficacy. After testing, the final package is selected and the production can begin. The choice of packaging materials, shapes and colors are diverse. From tablet jars to hygienic blisters. All these possibilities are negotiable. 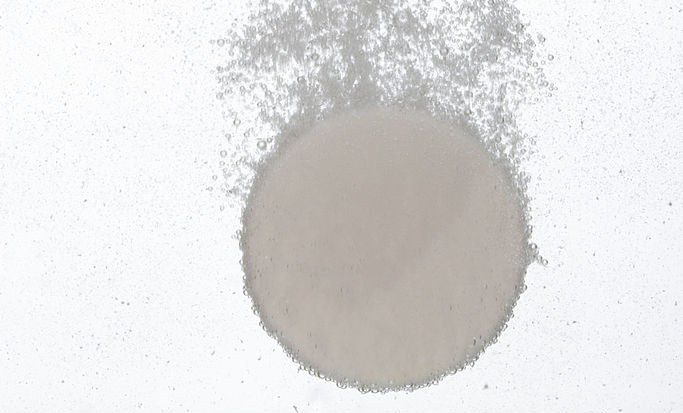 We see more and more effervescent tablets on the market. In addition to all the necessary ingredients effervescent tablets also contain components, which cause gas formation under the influence of water. Usually, this is CO2 (carbon dioxide). This gas in itself does not affect the efficacy of the active substances. However, it causes a movement in the water, whereby the active substances are easily spread through the water. It will also dissolve in water faster by the effervescent effect. The disadvantage is that a considerable part of the tablet consists of effervescent components, so the tablet will be heavier. 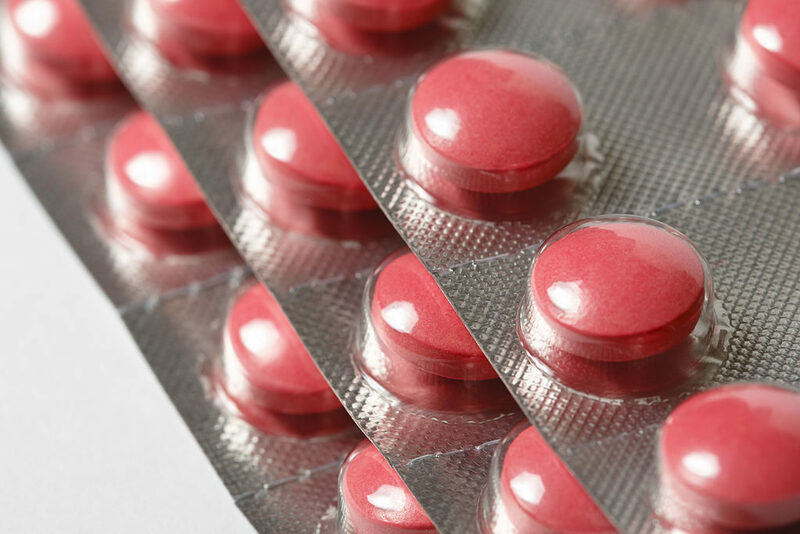 Effervescent tablets can only be produced under controlled conditions. This means in practice that air humidity, temperatures and in particular fluctuations need to be precisely controlled.